We are excited to share information about our plans for SAP Cloud Platform Open Connectors, which would be a new SAP Cloud Platform services enriching our Integration & Orchestration offering. SAP Cloud Platform Open Connectors aims to accelerate 3rd party integration and simplify connectivity to 3rd party applications by providing feature rich, pre-built connectors to over 150 non-SAP and SAP cloud or on-premise application. Before going into the details of SAP Cloud Platform Open Connectors Topics we would like to mention that blog outlines some of our planned innovation and has been shared for information purposes only. Information provided in this blog is subject to change & progress with time. Customer landscape is becoming more and more heterogeneous and have data maintained in these distributed systems. Integration of the data across these systems were always a painful and time-consuming process with a point to point integration strategy. With SAP Cloud Platform Open Connectors, Customers would benefit from connectivity to third-party APIs via harmonized RESTful APIs and can develop and map canonical data models to extend pre-built connectors providing a one to many integration patterns across these providers. Normalized authentication, error handling, search, pagination and bulk support regardless of underlying architecture across the various SAP and non-SAP cloud or on-premise APIs via the Pre-Built connectors. 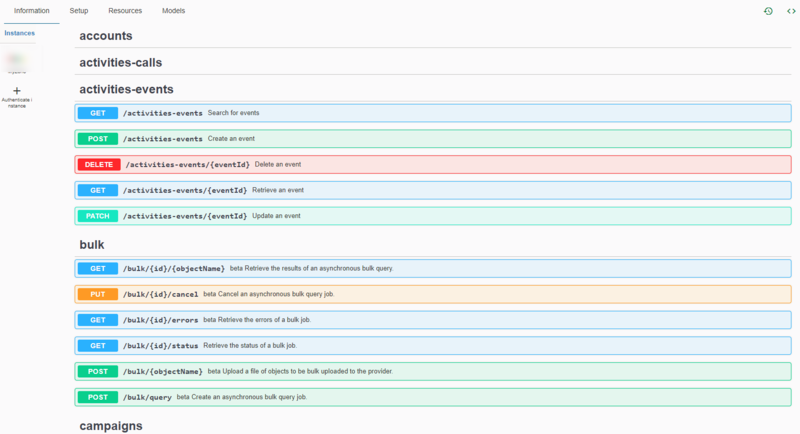 Standardized events that support polling and webhooks irrespective of the support for events provided in the underlying endpoints. Built-in interactive API documentation in Open API spec to explore, test and try out the APIs from one place. 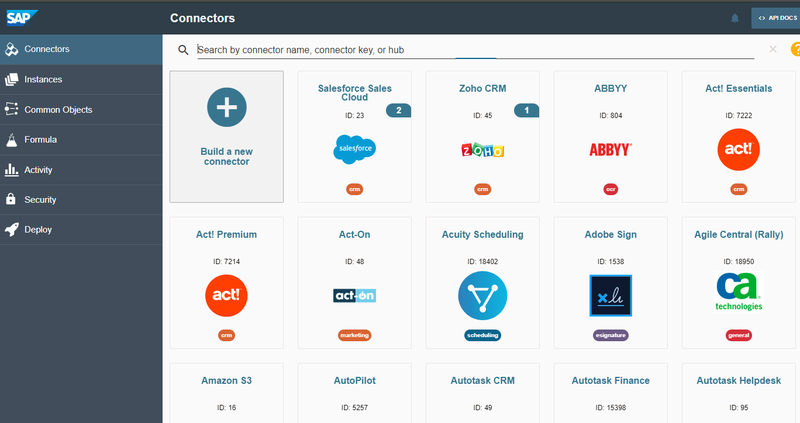 Build your own canonical model or common resources to provide a one to many integrations across the various pre-built connectors. SAP Cloud Platform Open Connector aims to focus on simplifying integration to several 3rd party apps and drive innovation with open and easy integration between your SAP and Non SAP ecosystem. We plan to launch SAP Cloud Platform Open Connectors on SAP Cloud Platform Neo environment by Q4 2018 , which would be followed by release on SAP Cloud Platform Cloud Foundry environment. Can these Open Connectors be used by standard SAC customers without additional SCP licensning? Great info Divya. Interested to see the demo! Thanks a lot for the kind words. We are planning to share more information in the coming weeks and also working on the demo scenarios. Excellent work and congratulations to the team for bringing this much awaited feature to battle with rivals in integration domain. Also looking forward to hear more and get hands on experience soon. Does this offers out-of-the-box integration content for accelerated integration. For Example, SAP S/4 HANA Cloud integration with Sap Business One or It is connector to connect different solution and then write your own integration content using available API’s. SAP Cloud Platform Open Connectors focuses on providing connectivity to different solution and these connectors can then be consumed in SAP Cloud Platform Integration services to write your own integration scenarios. Will the Open Connectors included in the SCP Trial? We have plans for making this service available on Cloud Platform trial environment. The current focus is on enabling this service with SAP Cloud Platform productive tenants. We will keep you posted on the progress.